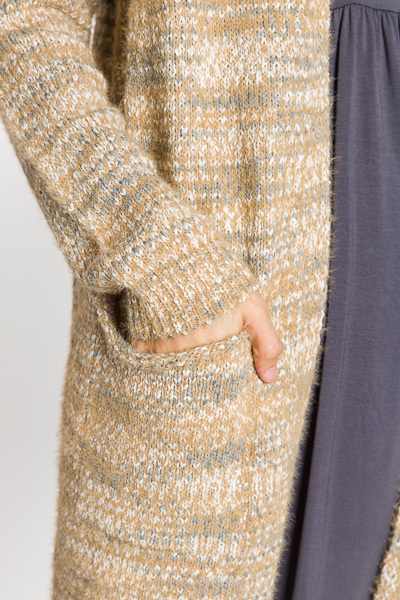 If you've been on the hunt for the PERFECT cardigan.. look no further!! It's neutral color palette goes with nearly anything, and the longer length looks great over dresses, leggings, and jeans! Material has a soft feel that offers plenty of stretch. Features pockets and an open front.